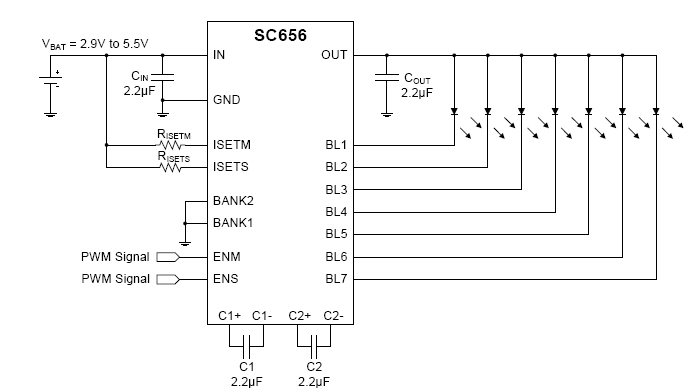 The SC656 is a high efficiency charge pump LED driver using Semtech’s proprietary charge pump technology. Performance is optimized for use in single-cell Li-ion battery applications. Fully WEEE and RoHS compliant, and Halogen free.